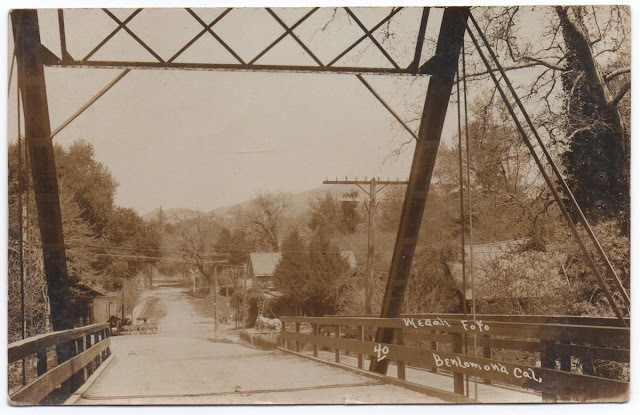 The 3.2-mile route between Riverside—the junction point for the Old Felton Spur and the Boulder Creek Branch after 1908—and Ben Lomond was a scenic but not especially difficult journey. 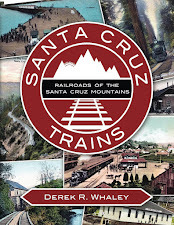 It was graded initially as the narrow-gauge Felton & Pescadero Railroad between 1883 and 1885 and closely paralleled the route of the San Lorenzo Valley Flume & Lumber Company's v-flume. The line was upgraded to standard gauge in 1908, but this presented few construction challenges except in the area south of Brackney. The route was renamed the Felton Branch in 1887 and the Boulder Creek Branch in 1912. 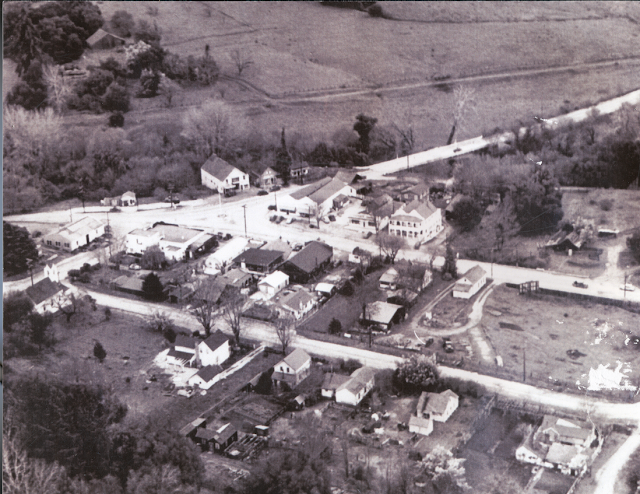 Aerial view of downtown Felton with the railroad grade still visible on the hillside behind the town, 1946. Photographs of the town of Felton show that the railroad tracks sat in a shallow cut as it rounded the large meadow on the east bank of the San Lorenzo River just across from downtown Felton. From there, it progressed north, always remaining on the east side of the river throughout its entire passage to Ben Lomond. Just south of Bonny Brae, two short fills were required to bridge seasonal streams that pass through the meadow. The land then levelled off through Bonny Brae and the site of the Christmas tree lot before a short but deep cut was required through an especially difficult piece of terrain. Railroad route between Riverside and Ben Lomond, 1885-1934. Structures and spur lengths not to scale. 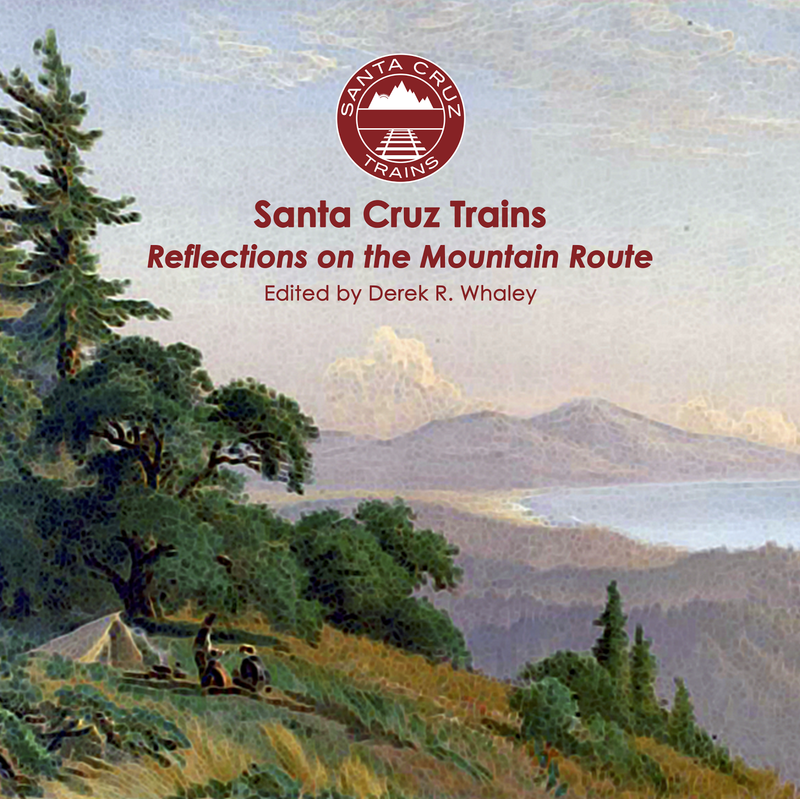 From here, the route reached its most treacherous point, hugging the hillside above the San Lorenzo River as a steep, sandy cut continuously poured debris on the tracks throughout the line's fifty-year existence. The only reported construction casualties along this line occurred here when a landslide killed two Chinese workers. Upgrading of the line in 1908 undoubtedly presented further challenges since the cut had to be pushed back even further, but newspapers report no serious incidents. From Brackney, the line evened out for the next 1.5 miles, passing through Glen Arbor before turning to the east with the river as it passed around The Highlands (Highlands County Park). Near where Quail Hollow Road intersects with Glen Arbor Road, the railroad grade met the road grade and continued paralleling it to the east to Newell Creek. At Newell Creek, a short redwood truss bridge was installed, one of two bridges used in this section. Soon afterwards, the route passed Newell Junction. County survey of the Newell Creek watershed, showing the Newell Creek Branch and private trackage, 1909. The Newell Creek Branch was only a mile long and only crossed the creek once, just before the mill. 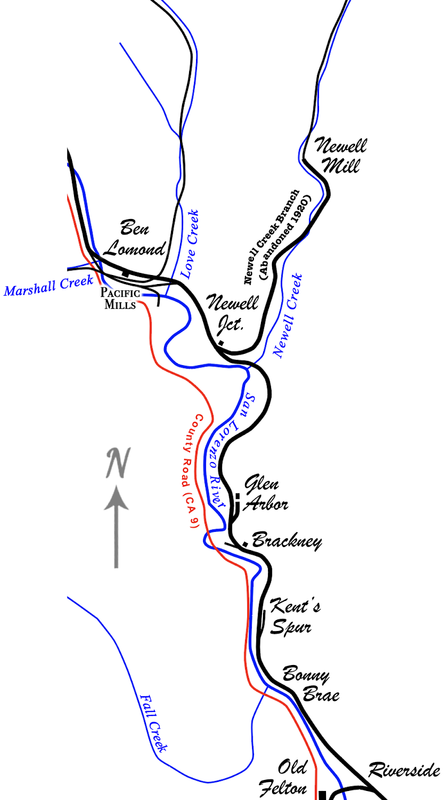 From there, an ever-lengthening narrow-gauge line continued deep into the Newell Creek basin. Very few photographs of this operation survive, but a few maps show where the tracks crossed the creek several times—at least six. Other bridges were required to cross feeder creeks and gulches in the basin. No photographs survive of any of these structures, but they were probably crudely-built using felled redwood trunks and other available pieces of timber, much like bridges on private lines north of Boulder Creek and along Aptos and Valencia Creeks. Back on the Boulder Creek Branch, the final journey between Newell Junction and Ben Lomond Depot was interrupted only by a bridge over Love Creek, the design of which has been lost. When the railroad first reached the settlement, it was known as Pacific Mills and several railroad tracks could be found throughout the area. One line continued up Oak Avenue along Love Creek to an indeterminate location. Another split from the mainline before crossing Love Creek on its own bridge, from where it continued down Mill Street, past the mill and across the San Lorenzo River to the west, eventually rejoining with the branch line there. From this track, a spur broke off to head up Hubbard Gulch to an unknown point. One last spur turned down across the San Lorenzo River to the south along what would later become State Route 9. Again, its ultimate destination is unknown. Railroad tracks crossing the former entrance to Hotel Ben Lomond, with the depot in the background, c. 1920. At the depot itself, a single siding wrapped around the depot to the south while the main track continued north of the depot, after which it crossed Fremont Avenue and turned to cross the San Lorenzo River and continue to Boulder Creek. 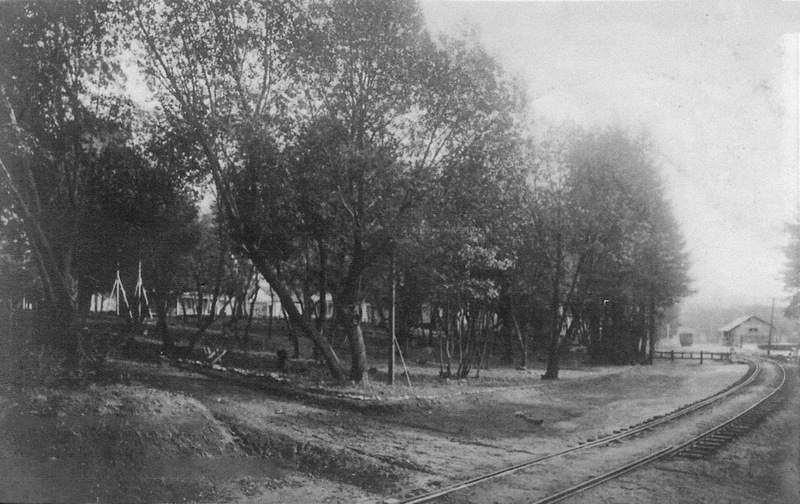 The Boulder Creek Branch was abandoned in January 1934 and the tracks pulled soon afterwards. None of the track in this area remains today, but much of the right-of-way between Riverside and Glen Arbor remains intact if you know where to look. In contrast, most of it from Glen Arbor to Ben Lomond has been covered by private homes and remnants of both bridges have disappeared into the creeks. The Newell Creek Branch is now Newell Creek Road, while the Newell Creek basin has since been inundated to create Loch Lomond, although remnants of the former logging rights-of-way can be found near the top of the lake when water levels are low. Thanks for sharing this great work! 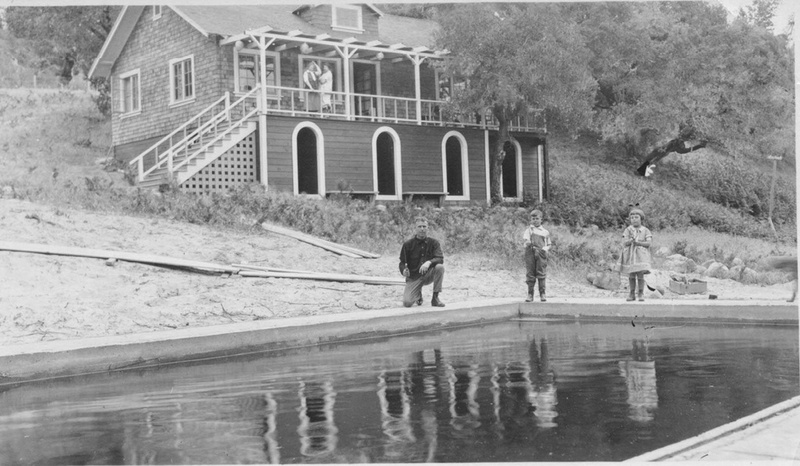 The San Lorenzo River watershed really cannot be understood unless one understands the history of the railroads (and all that went with them) in the watershed. Central Pacific 'Twelve-wheeler' #2913 must have been a popular choice from maybe a dozen other locomotives at the Pajaro yard. 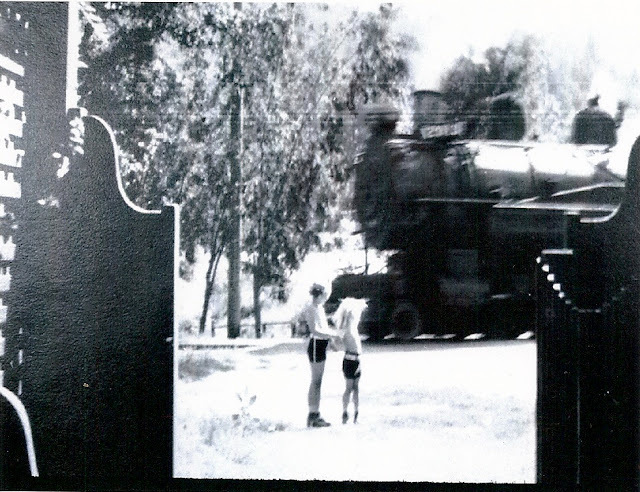 The #2913 is shown above, it also pulled the last train out of Boulder Creek (1934), and is also pulling a freight past the Pacific Grove station (1937). Built in 1895, it was scrapped in January of 1951. I don't think that its headlight was ever lowered into the more modern position, or that it ever switched out its 'coffin' style tender; so it always appeared as a large wall of metal coming down the track. 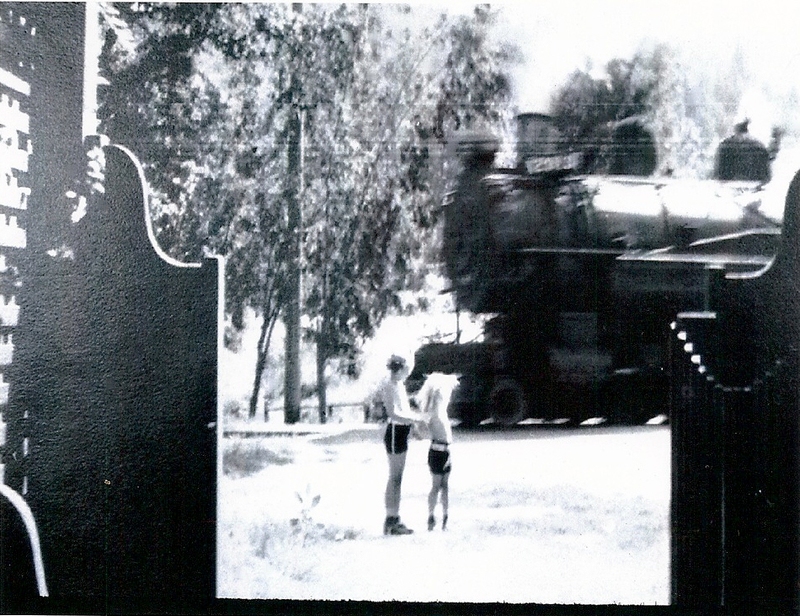 These locomotives were real brutes and would run alone out to quarries and lumber mills situated well into the mountains. The one remaining example is the #2914, sitting in a park in Bakersfield.